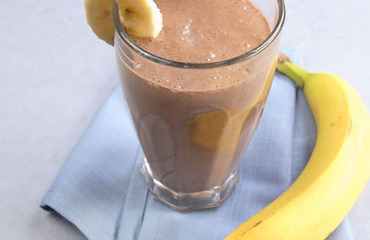 Chilled milk pour into blender and then add to it chopped bananas. After a few more seconds, add cocoa and mix it. For the moment we can serve. On glass we can put a wheel of banana.